What is that smell? It’s a question you’ve probably asked yourself when you walk into your home after a long trip or a few days before trash day, but it could be a warning. That rotten egg smell you’ve encountered could be the tell-tale sign of a gas leak. This smell isn’t just a nuisance, but a warning to get out of your home and contact your gas company immediately. Since gas is colourless and highly flammable, immediate action is crucial to minimize risk to property and human life. But isn’t natural gas supposed to be odourless? Yes, natural gas is odourless, but gas companies add mercaptan in order to give a sulphur-like smell to the gas. The addition of this sulphur-like chemical is usually the most obvious warning to you and your family that there could be a dangerous leak in your home and it’s time to take action. When you smell a rotten egg, leave. How can I help prevent a leak? Have consistent, annual inspections of your furnace to check for leaks, blockages, cracks, or corrosion. Make sure your flame is blue. If you find your flame is yellow or a colour other than blue, it is a clear sign that your furnace is not running efficiently and needs to be seen by a professional. Have your filters and vents cleaned regularly. Make sure that any gas or kerosene heaters in your home are properly ventilated to the outside. Make sure you know where your gas meter is located and ensure that there are no obstructions to it. 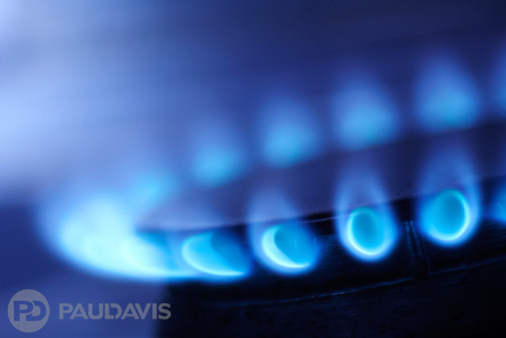 Practice general safety measures – don’t keep your gas stove/oven on when it is not in use. Don’t use your stove/oven for warmth either. Do not turn on any lights or call emergency services from inside the home. You do not want to do anything that could create a spark. Don’t try to fix it yourself. Your efforts to fix it could ignite the gas. Call your gas company immediately. In addition to the rotten egg smell, there are two other signs that indicate a gas leak. Communicate with your family and let them know about the warning signs of a gas leak. Add this to your family emergency plan so everyone is prepared for what to do in case of a leak. Don’t risk your safety; get out and call for help.